Whether you’re looking for a home addition, complete home remodel, or entire construction of a new home or commercial business, we are your best choice for all your home improvement needs. 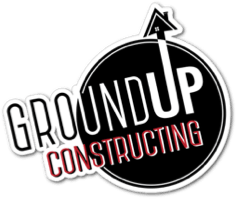 Ground Up Constructing knows how to keep your project on track, ensuring your budget is utilized to its full potential. We guarantee a successful renovation that will turn out better than you could have imagined. We take pride in our abilities & cannot wait to work with you. Our goal is to exceed your expectations and to set the bar for excellence in construction and communication. Immediate response from the first phone call through to completion defines our work ethic and commitment to customer service. We have the utmost respect for your vision, and will work hard to make your dream become a reality.